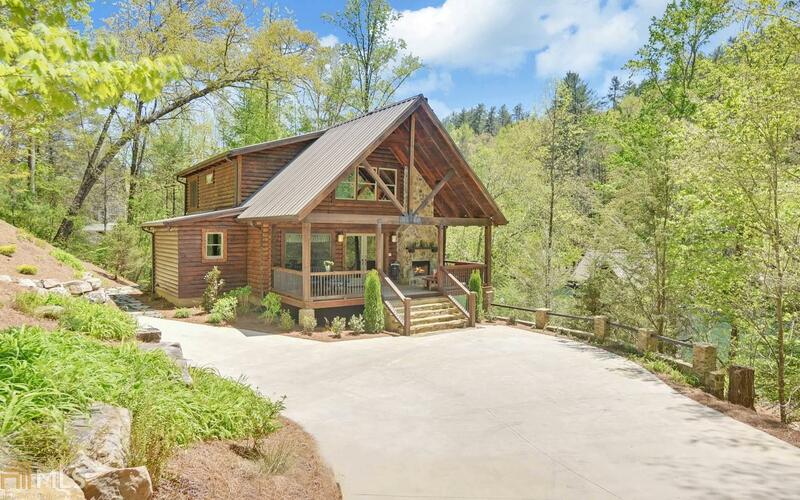 If you're looking for a ready to use lakeside retreat, look no further! Upon arrival, step onto a covered front porch with stone fireplace that&apos;s perfect for chilly nights. Enter a great room with vaulted ceilings, fireplace and a wall of windows overlooking the lake. The renovated kitchen offers new cabinets, leathered marble counters, and appliances. The master on the main opens to a screened porch with lake views. Wooden slab steps lead to an upstairs loft and two guest rooms that share a bath. Downstairs, find a second living area with galley kitchen, laundry, full bath and guest room with a screened porch. Relax outdoors on a stone patio with boulder fire-pit. Stone steps lead to a bocce ball court, sandy boat launch beach, 2-story, 2-stall boathouse. Directions: From Clayton, Take Hwy 76w To A Left On Charlie Mountain Rd. In 6.7 Miles Take A Right Onto Bridge Creek Rd. Take A Left Onto Seed Lake Road And A Right Onto Jamee Drive. Property Is .2 Miles On The Right.